Bios about people of color in genre media and projects. Today, we remember Duffy Mohler, artist, letterer, and beloved aunt of Jeanne Chu (who helped and inspired Dark Matters to get started!). Actress Genelle Williams Turns 31 Today! Born in Toronto, Williams knew she wanted to be an actress at an early age and studied acting under Canadian actor Dean Armstrong who played Blake Wyzecki in Showtime’s Queer as Folk. In 2003, she played Kim Carlisle in Radio Free Rosco, the role that made her famous in Canada. Williams also played Carla in three episodes of Degrassi: The Next Generation (2005-2007). It was in 2004, when the two shows began airing in the U.S., that her fame blossomed in the States. Since then she’s had a small role in another Canadian show, Bitten, about a clan of werewolves, and has become most well known as Leena (a bed & breakfast owner with psychic powers) in the Syfy channel’s Warehouse 13 from 2009 to 2012. Most recently, she appeared in Lifetime’s 2014 sci fi/dystopic future show The Lottery. Happy Birthday to Jim Brown! James Nathaniel Brown turns 79 today! A record setting fullback for the Cleveland Browns back in the day, Jim Brown proved to be a multi-faceted gem after leaving pro sports. He went on to act, produce and direct on both TV and in film and even has some blerd projects to his credit. In sci-fi and action, Jim Brown’s talents are showcased in Mars Attacks! (1996), The Running Man (1987), Small Soldiers (1998), I’m Gonna Git You Sucka (1988) as well as on the original Knight Rider TV series. In 1988, Brown founded the Amer-I-Can Program to empower at-risk youth and he also works with kids trying to break out of gang life in both LA and Cleveland. Marion “Pooch” Hall, a Massachusetts native, began acting while in college at the University of Massachusetts Dartmouth as a member of the school’s theatre company. As for many actors, his career started doing commercials and modeling. His genre work is less well known: Drawing on his boxing skills, Hall guest starred as a fighter on the Syfy channel’s “Warehouse 13” in 2012. He also had a role in “Snoop Dogg’s Hood of Horror” (2006), a movie made in the style of “Tales From the Crypt” and “Tales From the Hood” that features Danny Trejo, Ernie Hudson, Aries Spears, Billy Dee Williams, and of course Snoop Dogg, who also provided the soundtrack. In the film’s segment “Rapsody Askew,” Hall played “SOD,” a rapper who meets a violent end after betraying a friend. Snoop Dog narrates the movie and plays “Devon,” a human-become-demon with the power to decide who goes to heaven — and who goes to hell. Hall is to appear in horror film “But Deliver Us From Evil”, to be released in 2016 and written/directed by Joshua Coates. * In 1994, Hall won the Southern New England Golden Gloves for boxing. We’re taking the liberty of recognizing the birthday — one day late — of horror director extraordinaire George A. Romero. Romero’s mother was Lithuanian-American and his father was born in Cuba, of Spanish heritage. Romero was born in the Bronx, but attended film school at Carnegie Mellon University in Pittsburgh, PA. The result? “Night of the Living Dead” was filmed in rural western Pennsylvania and most of his other films were set in and/or filmed in Pittsburgh and the surrounding area. Of course, his earliest film is also one of his most famous—perhaps THE most: “Night of the Living Dead” (1968). Made on a budget of $114,000, it grossed $12 million domestically and $18 million internationally. It was the first of six Living Dead films. The most recent, “Survival of the Dead” was released in 2009, though out of the sequels, 1978’s “Dawn of the Dead” is probably the most well known. “Night of the Living Dead” shocked audiences and critics, unused to its high gore factor — Romero intended to convey the concept of zombies as metaphor for but, the film also stood out for its sophisticated, yet subtle, comparison of the characters’ zombie crisis to what Romero has described race relations in the U.S. in the 1960s and ’70s. One of the most fascinating things about the film, however, is that this representation was unintentional. Martin Luther King, Jr. was assassinated while Romero was looking for distribution — with this, the movie suddenly took on an additional meaning. One of the leads, “Ben,” was played by Duane Jones, an African-American theater actor who graduated from the Sorbonne and worked as an acting teacher, as executive director of multiple theater organizations, and as a film actor. Jones’s character was an intelligent leader, complex, and realistically flawed which made the role not only compelling, but also defiant of racial stereotypes. For this we have both Duane Jones’s performance and George Romero’s vision to credit. Though Romero hadn’t written “Ben” to be any particular race or ethnicity, Jones turned out to be the best actor for the part, which many believe made the film even stronger than it might have been. * He’s a Guillermo del Toro fan. * Romero made a cameo appearance in Jonathan Demme’s Academy award-winning thriller “The Silence of the Lambs”(1991) as one of Hannibal Lecter’s jailers. * Romero has appeared in video games and has written series for both Marvel and DC Comics. * Romero lives in Canada and acquired dual citizenship in 2009. 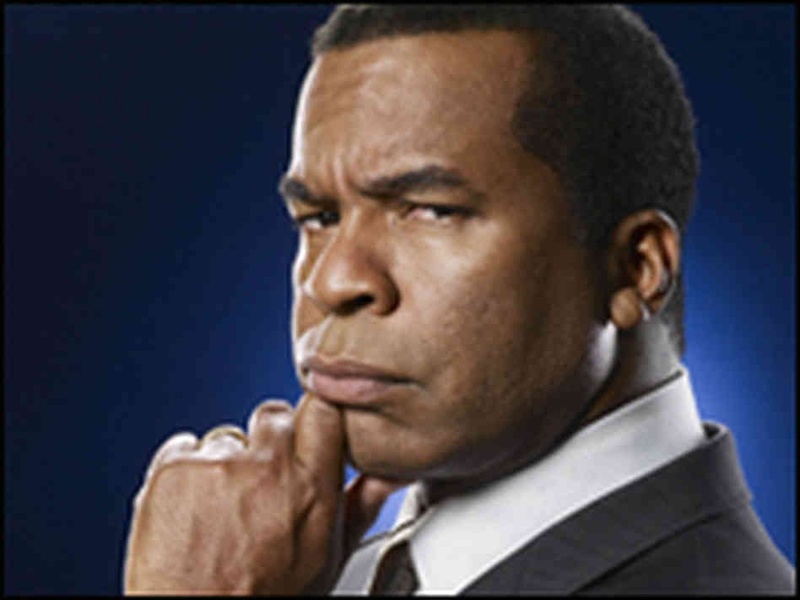 Happy Birthday to comedian/actor David Alan Grier! Grier was born on June 30, 1956, in Detroit, Michigan. He received a B.A. from the University of Michigan and an M.F.A. from Yale School of Drama. After graduating he was nominated for his role as Jackie Robinson for a Tony for Best Feature Actor in the 1981 musical “The First.” Grier has a long history on Broadway, having been nominated for Tony awards, and performing in productions such as “A Funny Thing Happened on the Way to the Forum, David Mamet’s play “Race” with James Spader, Kerry Washington and Richard Thomas, and “Porgy and Bess” with Audra McDonald. Grier, however, is probaby best known for being a cast member on Keenen and Damon Wayans’ sketch show “In Living Color,” which ran from 1990 to 1994. He’s also had roles in shows and movies like superhero parody “Blankman,” Amazon Women on the Moon,” “The Cosby Show” spin-off “A Different World” with Lisa Bonet, “Boomerang,” Tales From the Hood,” “Pinky and the Brain” (voice), “McHale’s Navy” (1997), “Bewitched” (2005), and most recently “Peeples” with Craig Robinson and Kerry Washington. Grier also co-starred with Bonnie Hunt in the film “Jumanji” before joining the cast of her show “Life with Bonnie,” which ran for two seasons. Dark Matters remembers actor Pat Morita, born Noriyuki Morita in Isleton, CA, on June 28, 1932, and died November 24, 2005. It’s surprising to learn that Morita was diagnosed with spinal tuberculosis at age 2, spent most of the nine following years in hospitals, at times wore a full bodycast, and was told he’d never walk again. At the age of 11, he had extensive spinal surgery and began the journey of learning how to walk. After his recovery he joined his family, who were being detained at a Japanese internment camp in Arizona during WWII. After the war and their release, Morita’s family operated a restaurant, while he worked at various jobs, incuding a data clerk; he also began his career as a stand-up comedian, also performing in an improv comedy troupe called The Groundlings. His first film role was as a stereotypical “henchman” in the 1967 musical “Thoroughly Modern Millie” with Julie Andrews. A recurring role as a South Korean army captain in the TV show “M.A.S.H.” helped advance his career. 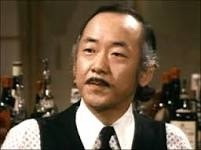 One of his best-known roles was on the hit show “Happy Days” as Matsuo “Arnold” Takahashi, owner of the diner Arnold’s for the show’s third season. He left “Happy Days” to star in the TV show “Mr. T. and Tina,” which although short-lived, was the first Asian-American sitcom on network TV. The other famous role is, of course, as Mr. Miyagi with Ralph Macchio in the three “Karate Kid” movies in the 1980s. For this performance, Morita was nominated for the Academy Award for Best Supporting Actor in 1984. Besides these famous roles, Morita accumulated a long list of performances in his career in shows like TV movie “Amos” for which he earned Golden Globe and Emmy nominations, TV shows “The Incredible Hulk,” “Love Boat,” “Blanksy’s Beauties,” “Baywatch,” “Sanford and Son,” “Love American Style,” and the lead role as Lieutenant Ohara in the crime drama “Ohara.” His film career includes performances in movies such as the sci fi flick “Shadow Fury,” horror movie, “Full Moon High,” “Even Cowgirls Get the Blues,” and “Mulan” (voice). Pat Morita paved the way for Asian-American actors, and he continues to be missed. 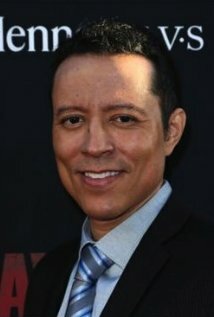 Happy birthday to actor Yancey Arias! Happy birthday to actor Yancey Arias, born June 27, 1971, in NYC. Of Puerto Rican and Colombian descent, Arias first demonstrated his talent for performing as a child. A professional singer, he began singing at 12, and his ability to act was discovered during his high school years, when he was selected to study drama summers at Stage Door Manor in New York state. Arias went on to study drama at Carnegie Mellon University, but left his junior year for a five-year stint performing in Miss Saigon on Broadway. At only 43, Yancey Arias has seen much success, and with three releases due this year and in 2015, he is sure to continue to making his mark on both the small and big screens.